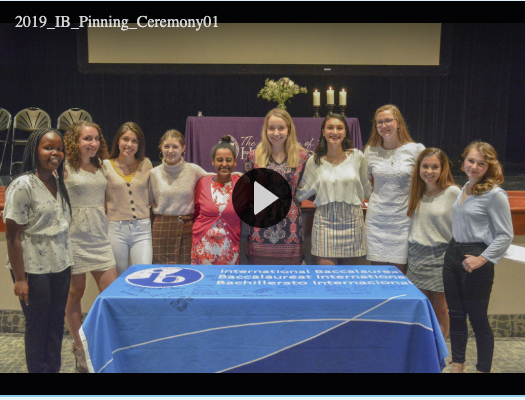 A special Pinning Ceremony was held on Monday, April 15 to recognize the outstanding work of the 11 Class of 2019 International Baccalaureate Diploma Candidates. As part of the ceremony, candles were lit symbolizing the three areas of the IB Diploma: Theory of Knowledge, Extended Essay, and Creativity, Action, Service. After receiving their IB pins, which they will wear at graduation events, the candidates received a blessing from their families and teachers. After the ceremony, the girls signed an IB banner which has been signed by previous Holy Cross IB Diploma candidates. 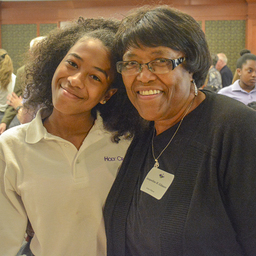 Holy Cross welcomed the grandparents and special friends of the Class of 2022 on Friday, April 12. The guests were entertained by music and dance performances and a trivia game "Are You Smarter than a LOTA." 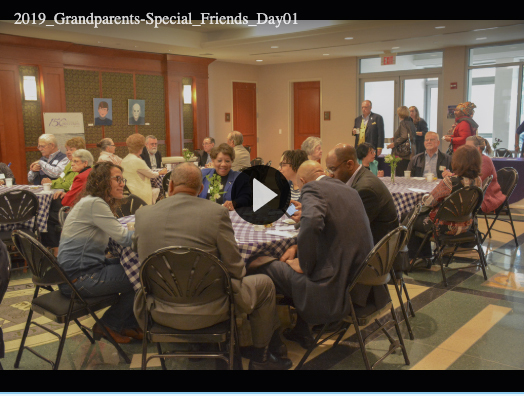 This was the largest group in attendance for this annual event. 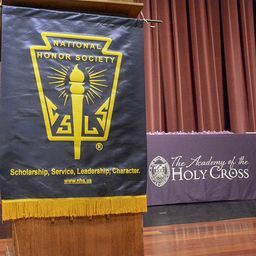 On Monday, April 8, The Moreau Chapter of the National Honor Society inducted 74 new members from the Classes of 2019 and 2020. During the ceremony, the officers of the NHS gave explanations of the four traditions: scholarship, service, leadership, and character. The candidates recited the NHS pledge and each received a certificate and pin. 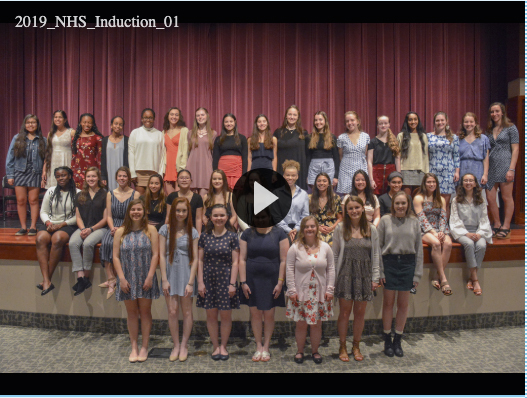 President Katy Prebble gave congratulatory remarks and NHS member Cecilia Rogers '19 gave a reflection on the impact the National Honor Society has had on her.